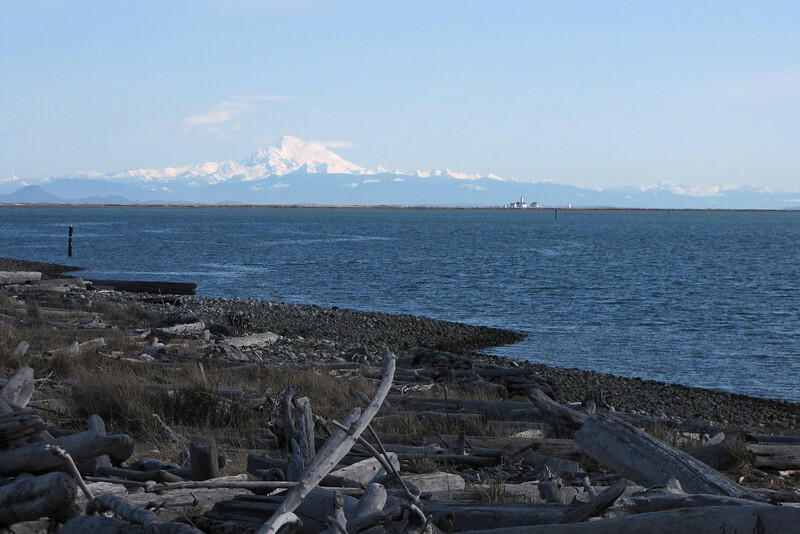 A partial view of the five mile long Dungeness Spit on the northern shore of the Olympic Penninsula. In the background is Mt. Baker and to the right is the Dungeness Lighthouse.